With this costume shirt, the little ones come out big. 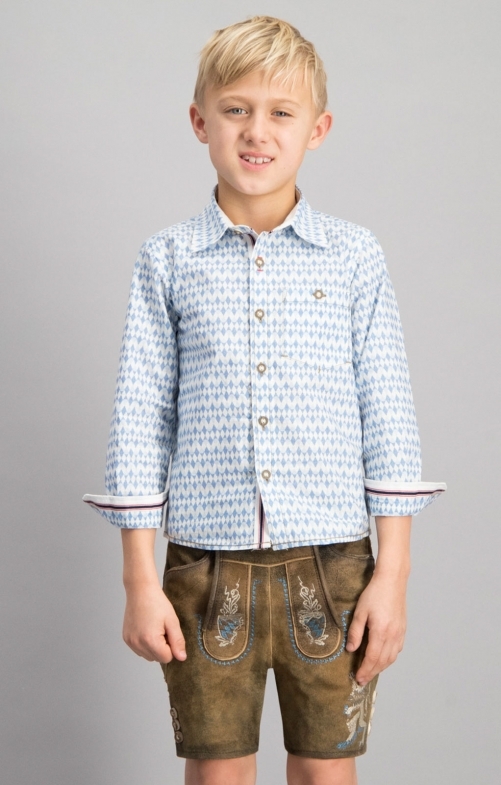 The costume children's shirt BENNY in blue presents itself with small blue diamonds on a white background. Equipped with long sleeves, a breast pocket and a classic Kent collar, it is the perfect companion to traditional trousers. Of course, even with this model, the traditional horn buttons must not be missing.